If you have tight curls, treating your hair with an S-curl texturizer can help to loosen and relax the curls and make it easier to style your hair. One popular style for people with short, coarse hair following a texturizing treatment is the 360 wave look, where the curls have been trained to lie down on the scalp, a full 360 degrees around the head. To create this look yourself, start with a texturizer treatment and then create 360 waves in your hair over the course of a few weeks. You can find an S-curl texturizer treatment at the drugstore or beauty supply store. Most kits contain latex gloves, texturizer treatment, neutralizing shampoo, conditioner and a styling product such as gel or spray. You'll also need petroleum jelly and a fine-toothed comb. Start by applying petroleum jelly all around the hairline to avoid burning the skin with the texturizer. 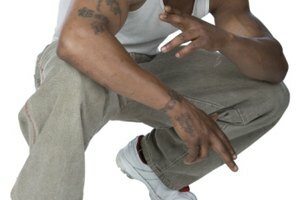 Then, put on the latex gloves and use the comb to scoop up a dollop of S-curl texturizer. Comb the texturizer through your hair thoroughly for at least 10 minutes, until you see an "S" or wave pattern forming in your hair. Next, rinse out the texturizer with warm water and wash your hair with the neutralizing shampoo. Rinse and repeat as needed until all of the texturizer is out of your hair. Finally, apply hair conditioner and rinse it out after about five minutes. Following your texturizing treatment, dry your hair and begin the process of creating 360 waves. 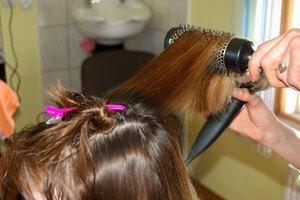 Your hair needs to have grown out to about an inch in length so you'll have enough to work with as you train it. Your hairbrush is going to be the most important tool in your styling toolkit as you work toward the 360 waves. Brush daily for 10 minutes or even longer, starting from the crown of your head and working your way to the hairline. Any hard, medium or soft boar-bristle brush will do the trick. Be sure to brush evenly around your entire head, and avoid shampooing for one to two weeks as you create the waves. After brushing your hair, tie a do-rag onto your head. You might want to perform this process at night so you can sleep in the do-rag and continue compressing your hair as you sleep. 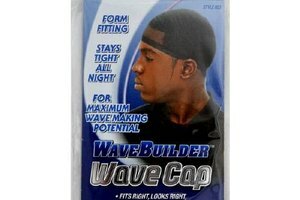 Do not brush out your hair in the morning when you remove the do-rag, as you'll be undoing the wave pattern. Over the course of a few weeks, you'll create the S-curl pattern on your hair. To keep your waves looking shiny and healthy, use a hot oil treatment or a deep conditioner monthly. Leave it in for about 30 to 45 minutes, rinse, and repeat the brushing process above.